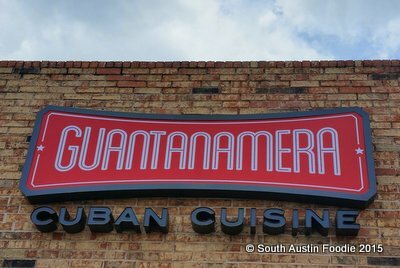 In honor of the US and Cuba re-establishing diplomatic relations and the opening of embassies, it's time I finished this post on Guantanamera! 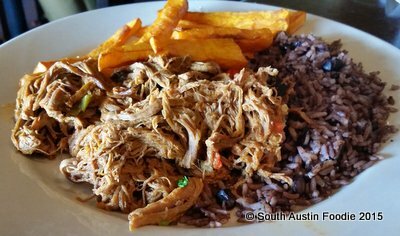 This new Cuban spot in a strip center at the northwest corner of Westgate and William Cannon, is a welcome change from your standard Tex Mex or sub sandwich shops, and a friend and I recently met for lunch. 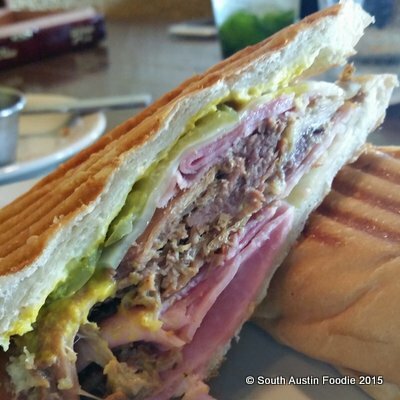 The Cuban owner previously worked at Habana, the long-time staple on South Congress. 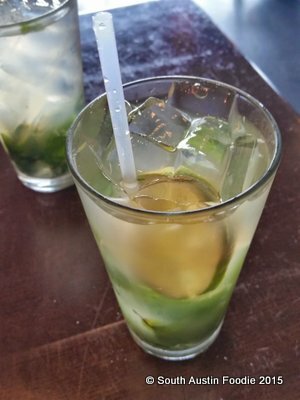 We both started with mojitos, which were tasty, but a bit on the weak side. 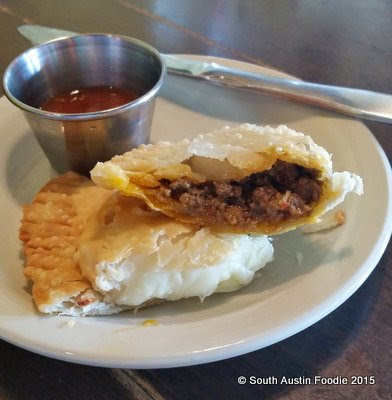 As an appetizer, we picked the cheese and beef empanadas. While fried, they weren't greasy, and the beef one in particular had great flavor. And the Cuban sandwich, which I am no expert on, but both of us ate every bite of our respective halves. It was pressed nicely, and the roasted pork wasn't dry. We got a side of maduros with the sandwich, and they were good, but at five small pieces, it seemed... small. Now when we arrived for lunch, there was one big group of about 10 - 12 people, and a few other filled tables. There were two servers there, if memory serves, so busy, but not slammed. 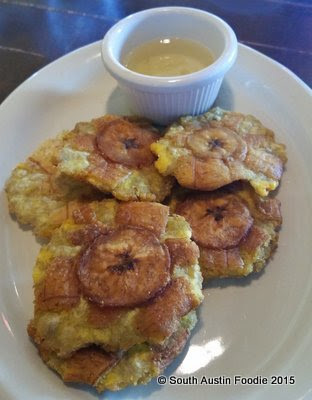 But we had ordered the tostones as an appetizer, and they never came, so we had to ask for them. 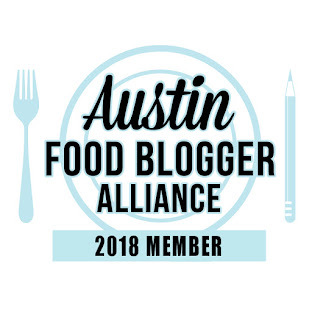 They needed salt for sure, and a little bit of salt right when they came out of the fryer would have been a bit more beneficial. But they were decent. So while the rice was a major issue, and a few other issues like a weak drink and having to ask for the tostones, I would definitely go back. I'd love to try some of the other dishes like the lechon asado and see if the rice and salting issues have improved. 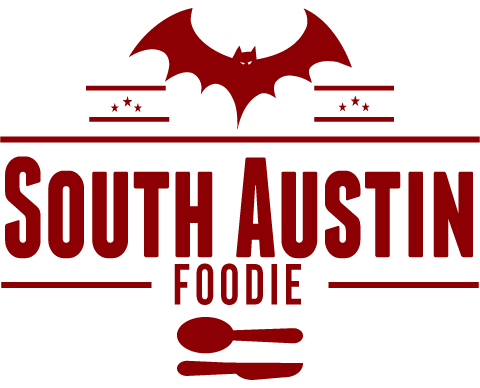 But certainly a welcome addition to the South Austin food scene, just as a thaw in diplomatic relations is a blessing for the Cuban people.